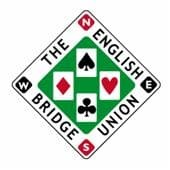 The English Bridge Union or EBU is a player-funded organisation that promotes and organises the card game of duplicate bridge in England. It is based at offices in Aylesbury. The EBU is a member of the European Bridge League and thus affiliated with the World Bridge Federation, which promulgates the laws of the game. The EBU is owned by 39 county associations whose shareholdings are determined by the numbers of EBU member residents. The county associations elect annually a board of eight directors, including a chairman and vice-chairman, and meet with the board twice a year to assist in determining policy. The shareholders also elect an honorary treasurer and three standing committees which are accountable to the EBU board; each committee has seven elected members. The current Chairman is Jeremy Dhondy. The British Bridge League (BBL) was formed in 1931, and many local associations and clubs affiliated with it. In Yorkshire, for example, Halifax, Hull, Leeds, Sheffield and East Yorkshire all affiliated with the BBL. At national level the Scottish Bridge Union was formed in 1933 and the Welsh Contract Bridge Association the following year. There was still no English equivalent, but area associations were being set up: Yorkshire and the North East were formed in 1935 and the North West soon afterward. In 1936 those three bodies proposed merging to create a single Northern Association under the BBL. Scottish and Irish representatives were willing to meet on equal terms only with those from an English national organisation, so it was decided to set up an English Bridge Union, to be composed of the three northern associations, a proposed London association and as many county associations as could be created. The EBU was formed on 23 May 1936. At its second council meeting on 12 June it was decided that there should be eight constituent area associations: North Eastern, North Western, Yorkshire, West Midlands, North Midlands, Eastern Counties, London & Home Counties and South Western. However the BBL and another organisation, the British Bridge Association, continued to operate in England, which restricted the development of the EBU during the next few years. The EBU was reorganised during the 1939/40 season to involve the counties directly, similar to the current structure. A council meeting was held in July 1939 which led to the new EBU organisation replacing the old, with the first meeting of the "new" EBU council being held on 15 March 1940. For the first time, those attending were representatives of individual counties rather than regional associations. According to the minutes, the 23 counties that were represented or sent their apologies were Bedfordshire, Buckinghamshire, Derbyshire, Devonshire, Essex, Gloucestershire, Hampshire, Hertfordshire, Kent, Leicestershire, Lincolnshire, London, Middlesex, North East, North West, Nottinghamshire, Oxfordshire, Salop, Somerset, Surrey, Sussex, Warwickshire and Yorkshire. During World War Two organised bridge was in abeyance, but by 1945 seven counties had been reformed: Gloucestershire, the North East, the North West, Nottinghamshire, Oxfordshire, Warwickshire and Yorkshire; next year there were 19 newly formed or reformed county associations. The EBU had not yet resumed operations, however, and so a new organisation called the Tournament Bridge Association was set up to organise events and congresses, including the Crockfords Cup and the Lederer Memorial Cup. The EBU and the TBA soon realised that a single body for duplicate bridge was needed, and all the TBA members eventually joined the EBU. As a result, the number of county associations affiliated with the EBU doubled to 38. English players took part in European and World competitions as part of Great Britain teams until 2000, when the European Bridge League accepted the EBU as a national bridge organisation (along with the Scottish and Welsh unions). Since the selection and organisation of Great Britain teams had become the BBL's main reason for existence, it was dissolved and its remaining functions were taken over by a new body, Bridge Great Britain. The first EBU sub-committee was the Selection Committee, established 28 March 1937. The Tournament Committee was set up on 8 June 1945 and the Laws and Ethics Committee, originally called the Rules and Ethics Committee, on 1 April 1947. On 1 April 2010, the EBU ushered in the biggest ever shake-up in its structure by introducing Universal Membership. On 23 May 2011 the EBU celebrated its 75th anniversary. The EBU now has over 54,000 members and 620 affiliated clubs, allowing the organisation to further the development of bridge. The organisation has eighteen staff members (eight of whom are part-time) based in Aylesbury, Buckinghamshire. It also relies on a huge team of volunteers and a board of eight elected volunteer directors. The tournament committee is responsible for all aspects of the EBU's programme of tournaments, other competitions and the master points scheme. The EBU selection committee is responsible for all aspects of England's international representation. It determines the format of trial matches to assist in choosing teams for major international championships such as the European Championship competed for bi-annually and for the annual home international series involving England, Wales, Scotland, Northern Ireland and Éire. The home internationals are known as the Camrose Trophy (Open) and the Lady Milne (Women). England currently selects for the Camrose Trophy using its flagship event the "Premier League" which has two divisions of eight teams playing long matches against all other teams. The winners of Division 1 are guaranteed Camrose Selection. EBUTA (formerly The EBU Teachers' Association) was established by the EBU and is now run by the charity English Bridge Education and Development. EBUTA exists to promote and support effective bridge teaching. Its aims are to increase the extent and improve the standard of bridge teaching across England; so as to increase the number of people who play and enjoy bridge. These aims are achieved through the encouragement of EBUTA membership and the provision, to its members, of information, advice and training related to all aspects of bridge teaching at all levels. Minibridge is used to help introduce players into the game. It is also being introduced to Primary Schools across England to help promote skills in Maths and English. The EBU also promotes Really Easy Bridge to introduce newly playing bridge players to the tournament side of play. The EBU also co-ordinates a project in producing teachers from their affiliated clubs. The English Bridge Union believes strongly in supporting and encouraging young bridge players, as the future of the game. They have regional Youth Officers to further service the needs of junior bridge. Junior international teams have squad managers. England are represented at under-20 and under-25 age groups, and in some competitions by a 'Girls' team (for women under 25 years old). International events include the European and World Championships, the Channel Trophy (against France, Belgium and the Netherlands) and the Junior Camrose Trophy (Under 25) and Peggy Bayer Trophy (Under 20) against the other Home Unions. The EBU Selection Committee selects the junior international teams. The EBU organises a residential bridge teaching weekend - the Junior Teach In - usually held at Loughborough University each August. The EBU Master Point scheme is a means of recognising individual lifetime achievement in EBU organised competitions at club, county and national level. It began in September 1956. Points are awarded to the top one third of competitors and the higher the level of competition the greater the number of points awarded. Since 1 January 2013 there have been three main types of Master Point. Green points are won in events of national standing and are necessary for the acquisition of certain senior ranks. The value of a Green Point is 100 Master Points. Blue points are awarded in the next level of competition. The value of a Blue Point is 100 Master Points and all Master Points ranks will allow up to 50 Green points to be replaced by Blue Points in the ratio of 3 Blues = 1 Green. Local Points are won in any event where Green and/or Blue Points are not awarded, and sometimes in addition to Green and/or Blue Points. The Master Point scheme is believed by some to be imperfect as it rewards the persistent player ("the more you play the more points you earn"). The rankings, however, require Green Points to be won before a player can achieve some of the higher rankings, so such ranked players must have achieved success in national tournaments. A Gold Point scheme is also in place, rewarding those who finished highly in the National Tournaments. This recognises the more elite players, and as these points decay at a rate of 20% per annum they are an indicator of recent success, rather than lifetime achievement. The highest rank which can be achieved in the EBU Master Point scheme is Premier Grand Master. The National Grading Scheme (NGS) was introduced in April 2010 and aims to provides a fair and trustworthy measure of an individual players current performance when playing duplicate bridge. The NGS indicates an individual’s current playing ability based on the last 80 or so playing sessions at whatever level they play. The NGS calculates a current grade and a grade band for each EBU member, which is updated whenever new results for that player are received. The value of the grade is the scheme’s estimate of the percentage score that a player would have achieved on average if partnering another player with the same current grade at Match Pointed Pairs in a field of nationally average strength. EBU grades have been divided into 13 playing card bands, ranging from ‘Ace’ at the top to ‘Two’ at the beginners’ end. Each band covers a 2% range of grade values, with ‘Eight’ having a range of 49‐51%. The scheme is complementary to the Master Point Scheme, and the two schemes are independent. The EBU launched its "Pay to Play" scheme on April 1, 2010 to create Universal Membership, replacing its previous method of financing. A small payment (34 pence from April 2013 to March 2014) is charged each time a player plays at an EBU affiliated club. Payment of this Universal Membership fee means that all members of clubs which are affiliated to the EBU become player members of the EBU. Direct membership of the EBU - for those who play at unaffiliated clubs, or live outside England - is also available. The first EBU 'in-house' magazine (The EBU Quarterly) was published from April 1966. It was replaced by what is known today as English Bridge in 1984. In the post-war period the EBU had input into Contract Bridge Journal from 1946 to 1956 and thereafter British Bridge World until it ceased publication in late 1964. 75th Anniversary Mixed Pivot Teams Championships in Brighton at the EBU Brighton Summer Meeting in August. Journalists' day in London in September. Primary school children will introduce the game they love to journalists over lunch. Special match between primary school children and members of the All Party Parliamentary Group for the Development of Bridge will take place at the Houses of Parliament in November. 75th Anniversary House of Lords v House of Commons bridge match with many bridge-playing parliamentarians from the past taking part in the event. 75th anniversary edition of the members' magazine. Awareness days across England to promote the many benefits of bridge for children and adults, with an opportunity to try the game. Club parties and events throughout the year.